It seems like Spring Break came extremely fast, you work hard all semester and you finally get a week off to relax. A lot of students end up planning for weeks almost months to go to places such as Miami, or even LA! It can be overwhelming sometimes to figure out every aspect pertaining to a trip; whether it is finding out what hotel you’re staying in, what flight your taking, and many more things. If you’re like me when planning a trip I always have to figure out what I’m going to wear and what my hair is going to look like. That is why I’ve made a list of 5 protective hairstyles for spring break. So if you’re like me and are trying to figure out what to do to your natural hair while on vacation then look no further. Here are my 5 recommended natural hairstyles for spring break. This braid is super easy to do and it’s also very cute! You can spice this hairstyle up with hair jewelry. This hairstyle can last you a good week, maybe even longer if you make sure you sleep with a satin scarf. This hairstyle, in my opinion, is a lifesaver and it’s also very easy to do. And it takes no time to do, and with this hairstyle, you are able to re-do it every day that you are on vacation because it literally takes no more than 10 minutes to do. The tutorial I have listed above is with no hair added to the ponytail but you can, of course, add hair if you would like. A twist out is a very easy low manipulation hairstyle. 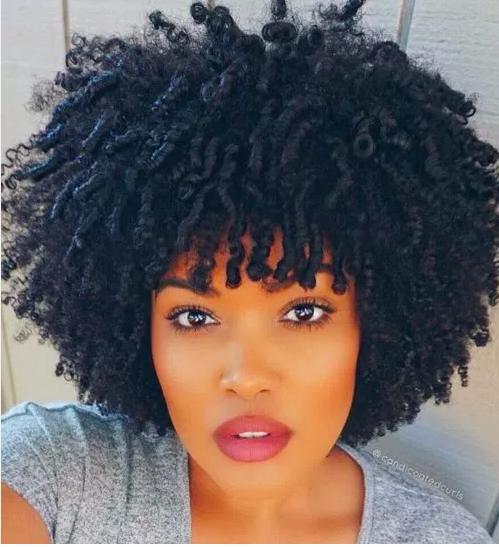 All you have to do is find the right products that you like to use on your hair and twist your hair up and take it down the next day and wah-lah you have a beautiful twist out. And you can rock this style for a week as well. All you have to do is preserve your hair in either a bonnet or a pineapple bun. A Braid out is similar to a twist out but instead of twisting your hair, you are braiding it. It may seem the same but the results are different and in my opinion, a braid out is better than a twist out. I think its better because it lasts longer and the results are better. Last but not least is a good ole wash and go! This is the easiest style because you literally just wash and go. But the trick to making sure that your wash and go looks phenomenal is to find a great leave in conditioner and a gel that’s not too heavy. And with the wash and go you can also do many styles with it as well. Now all the styles that I have listed are very easy to do! And take little to no time, but I have to ask out of all the styles recommended which one are you more likely to try. Let me know in the comments below.